Posted in Building A Better Business, DJing Tips, For the Love of Knowledge and tagged Bootlegs, Music Format, Music Pool, Music Subscription Service, Remixes on April 16, 2017 by djnickjames. Crack a cold one with my dad and he’d inevitably fall into telling you how the Designated Hitter Rule and the equally un-American embrace of expansion teams ruined baseball. Decide for yourself. Let’s take off the rose-colored beer goggles for a look back at a few things I suspect no one much misses — and the one thing we may all have to say goodbye to forever. Shopping for music – While I didn’t have to walk 15 miles uphill both ways to buy music when I was kid, I did have to make a 90-mile pilgrimage to the bright lights and big bins of Orlando’s Orange Avenue for the “good stuff.” It was there I would spend entire afternoons combing through albums, along with other preternaturally pale music nerds, some who are still friends today — none of who would trade the ability to download the newest releases from the comfort of their favorite chair for days gone by. FUN FACT: In 1985 a typical album was $9.98. That’s $22.42 in 2016 dollars. 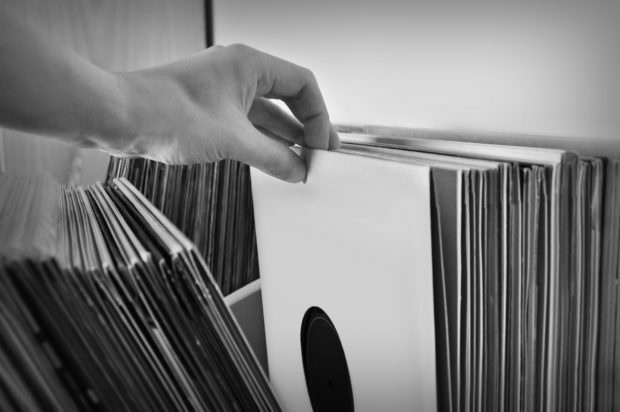 Lugging Crates – I never weighed a crate of vinyl, but if I had to guess I’d say it fell somewhere between ‘are you kidding me’ and ‘call 911.‘ On the plus side, gravity did inspire me to pare my options down to well-planned playlists, the downside of which was that I could never plan for everything. Given my druthers (and my age) I much prefer the unbearable lightness of my laptop. 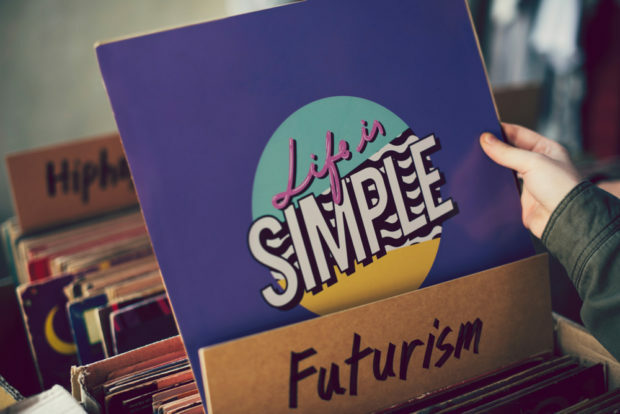 Upgrading Formats – If my research is correct, and it should be because I didn’t do any, in the 1990s the record labels made approximately a bazillion dollars getting us to repurchase the same music we bought on vinyl on “indestructible” compact discs. The only thing I miss about that is my money. 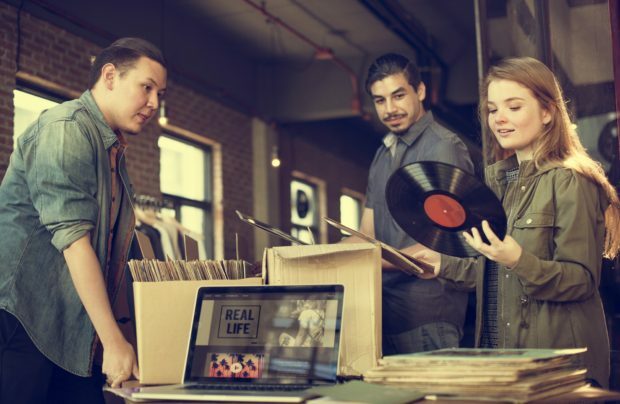 Vinyl – Here’s a dirty little secret you won’t see on the “Real DJs Spin Vinyl” threads spreading like Zika on social media these days: Even the best cared for vinyl will crackle and pop after repeated use. 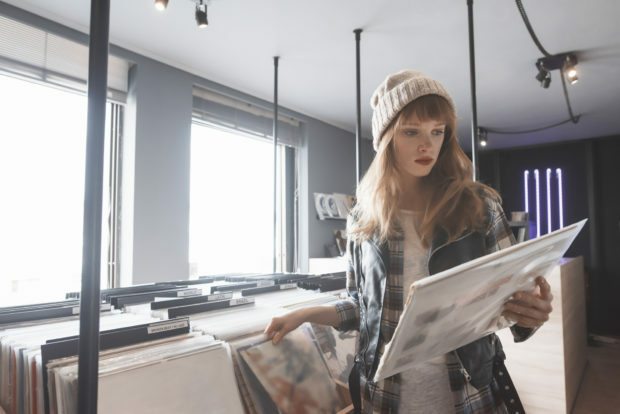 And as for vinyl sounding “better,” the lossless CD-quality files reputable DJ pools offer provide the same high-res 24-bit audio the artist hears upon studio playback. 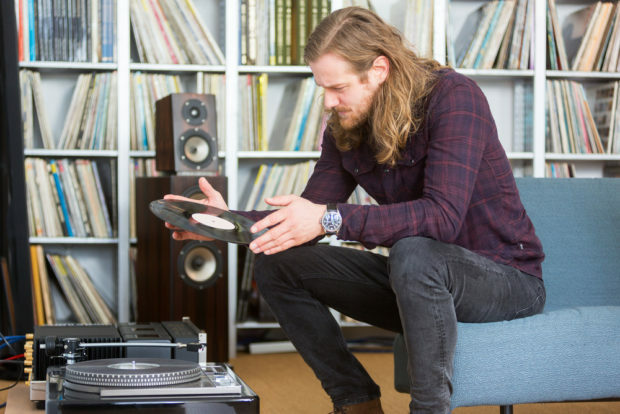 If warmer sounding is what you’re looking for, a few filters, a little mid-range boost and analog speakers are all it takes. Nostalgia does not equal great sound, just nostalgic sound. The Sanctity of the DJ Booth – Not so long ago audiences expected a DJ to DJ. Just as you wouldn’t tell a plumber how to fix a faucet or your barber how to cut hair, you wouldn’t think of walking into a club and telling the DJ how to do his highly specialized job. The mere fact that he was at that club said it all: You went to that club to hear that DJ. Posted in DJ Gear, Uncategorized and tagged DJ Booth, Music Format, Vinyl, Vinyl Crates on August 30, 2016 by djnickjames.